A fear shared by hydrologists, environmental activists, and millions of northeastern Brazilians has come to pass. 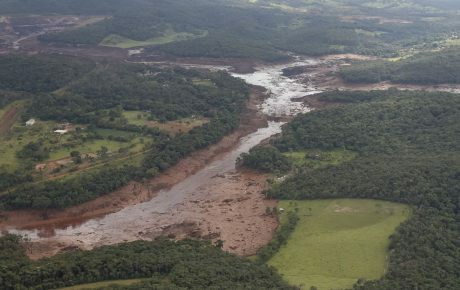 The report “Water Quality in Brazil’s Atlantic Forest,” by the SOS Mata Atântica Foundation, concludes that the mud spilled from the Brumadinho dam collapse in January has now reached the São Francisco river—the longest waterway to run entirely within Brazil’s borders. The news is all the more worrisome as the river is responsible for 70 percent of available fresh water in the Northeast—the aridest region in the country. 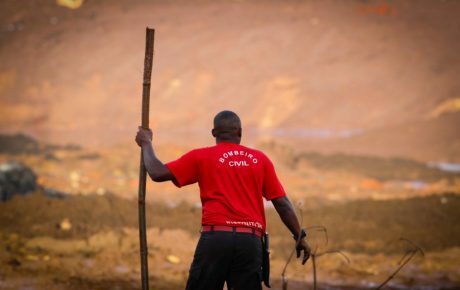 Between March 8 and 14, the NGO collected water samples from the Paraopeba river—which was directly affected by the January 25 dam spill—and from the São Francisco, including the Três Marias Dam, which holds a 21-billion-cubic-meter reservoir. 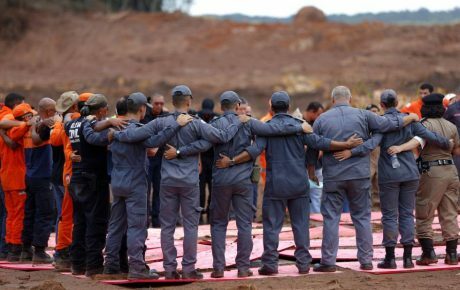 Officially, the National Water Agency denies the report, saying that its analyses in the Paraopeba River indicate no contamination from the Vale spill. “A water quality report from before the dam rupture already indicated contamination of iron and aluminum,” stated officials. 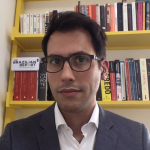 In response, SOS Mata Atlântica Foundation stated that the pattern of contamination along the Paraopeba and towards the São Francisco river reservoir shows that the contamination comes from the Brumadinho dam collapse. SOS Mata Atlântica Foundation’s report rated the quality of water across Brazil’s Atlantic Forest region. A staggering zero percent of the area is considered to have “great” water quality. Water in three of every four rivers examined is classified as “OK”—similar to results from last year. That in itself is a red flag, as it shows the country has made little progress. A river in a bad condition cannot be used for agriculture, fishing, or human water consumption. This, in turn, leads to conflicts for access to water supplies. Energy production is the only economic activity not affected by pollution. Furthermore, there is the health hazard that overly-polluted rivers cause. They become a literal cesspool of diseases, helping proliferate diseases such as cholera, hepatitis, and leptospirosis, and they are favorable environments for mosquitoes, which transmit zika, chikungunya, and yellow fever. Along its 2,800 kilometers, the São Francisco River crosses five Brazilian states—from its source in Minas Gerais, across through Bahia, Pernambuco, and Alagoas, until reaching its mouth in Sergipe. The São Francisco basin (with its 168 tributaries) extends across 640,000 square-kilometers—an area of the size of France. For thousands in the Northeast, the river, nicknamed “Old Chico,” is the only available source of fresh water. The São Francisco river has been highly important to Brazil since the times of Portuguese colonization. It was one of the first rivers to be navigated and occupied. It was on its banks that Brazil’s cattle culture developed. As it connects the Northeast to the Southeast, it is also called “the river of national integration.” The river crosses several Brazilian biomes, from the Atlantic Forest, to the savannah-like cerrado, mangroves, and coastal vegetation. Over the past decades, however, the São Francisco has suffered from many environmental transgressions—as tributary rivers have had their sources destroyed, riverbanks have been deforested (which has led to erosion and aggradation), and obscene quantities of waste have been dumped into its waters. 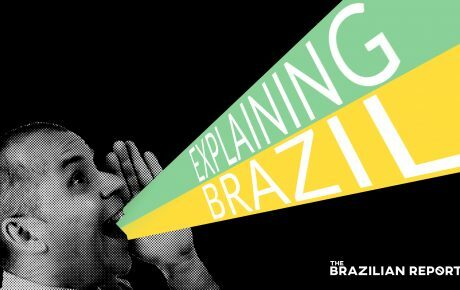 Explaining Brazil #45: How to recover from the Brumadinho dam collapse?